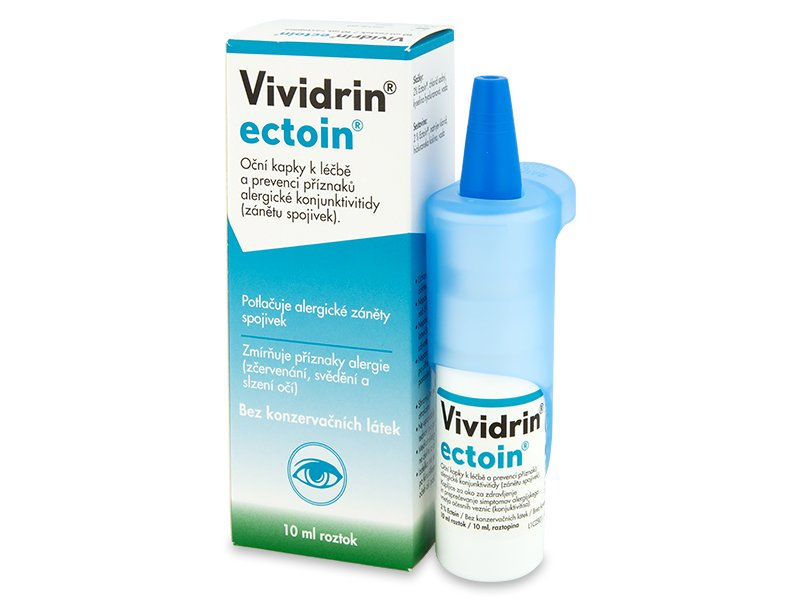 Vividrin Ectoin eye drops are preservative-free and suitable for sensitive eyes. The formula creates a protective layer on the surface of the eye to prevent allergens from entering the eye. Vividrin drops are also effective in treating allergic conjunctivitis. The active substances in Vividrin are ectoin and hyaluronic acid in the form of sodium hyaluronate. Dispense 1–2 drops into the conjunctival sac (the area between the eyeball and the lower eye lid) as needed. Drops can be used for up to six months after first opening. Talk to your eye-care professional before wearing contact lenses if you suspect you have conjunctivitis.